Lyft's app lets people hail a ride from their smartphones. Lyft's ride-hailing app will now come preloaded on select Verizon Android smartphones, under a national partnership with the carrier that Lyft is announcing Thursday. The change will go into effect immediately for the newest Android smartphones, Lyft said. It didn't specify which handsets are included. The partnership does not change the way Lyft's app works. 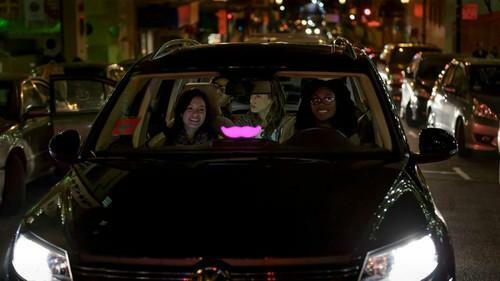 The deal, the first of its kind between the companies, will get Lyft's app in front of more potential users. Lyft's service, which lets people request rides through their smartphones, is currently available in 65 cities across the U.S. Uber is active in more than 300 cities and nearly 60 countries. Lyft's partnership with Verizon also carries benefits for drivers. Starting Monday, Lyft drivers using Verizon can receive a discount on their monthly phone bills, through Lyft's driver rewards program. Drivers can access the benefits whether they use Android or iOS. Additional discounts are available on Verizon accessories and family plans, Lyft said. Both Lyft and Uber have other partnerships with outside companies as part of their efforts to make their apps more useful in different settings. Lyft has a work program that lets select partners like Adobe and Postmates issue credit balances to their employees that can be applied toward Lyft rides to the office and other locations. Uber provides a similar service, in which employers can create a business account with Uber and then add employees to the account. Late last year, Uber partnered with Spotify to let users of Spotify's paid service control the car's music. A Lyft spokeswoman declined to comment on the financial terms of the partnership with Verizon.